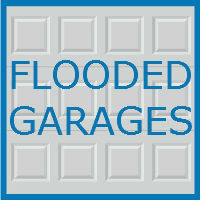 If you have experienced flooding in your garage, you are likely wondering how to proceed. Flooding in your home or garage is problematic for a number of reasons. Excess water can damage the structure and floor of your garage, and any items you have stored there are at risk of being damaged. If you have flood water in your garage, it is best to take action immediately, before any further damage can be done. Additionally, it is a great idea for any garage owner to take extra preventative measures to ensure their garage is flood proof, or at least resistant to water, to keep flood water from doing any future damage. Below, we break down how flood water can damage your garage, the steps you can take to prevent flood damage, and what you should do if you have current flooding in your garage. Why Is Flooding a Problem? Floodwater is problematic for a number of reasons. First, floodwater in your garage could damage your belongings. Your vehicles, lawn equipment, and other items stored in your garage are at risk of damage if water reaches them. Additionally, water in your garage can cause major damage to your garage’s structure. Walls and floors can be ruined. Wood can warp easily if exposed to excess water. In addition to damage caused, floodwater left untended can lead to mold and all sorts of microbial organisms that can grow in your garage. Flooding can happen at any time, so it is important that all garage owners take extra precautionary steps to ensure their garage is waterproof and ready for a flood. Start by ensuring your garage is fully waterproof. First, paint the walls of your garage with a waterproof paint. Be sure you hit the ceiling as well, as it could be susceptible to damage in heavy rain scenarios. Next, add a waterproof paint coat or epoxy to the floor of your garage to ensure water cannot seep in. It is also a smart idea to put belongings stored in the garage on elevated shelves or store them out of reach of any potential flooding. In addition to protecting your garage in the event of a flood, it is also smart to make a plan to keep you and your family safe if flooding does occur. Plan out an evacuation route to get yourselves to safety, and consider putting together an easy to grab emergency kit that includes clean drinking water, first aid items, clothes, and other essentials. If your garage has already been flooded, start by making a call to your insurance company. Do this as soon as you can, and take pictures of any damage the flooding has done. Once you have notified your insurance provider, the clean up of your garage can begin. In most flooding cases a specialized team will need to come in, especially if there is a chance that the water is contaminated. It is essential that homeowners report the flooding as soon as possible to lessen the extent of damage and to prevent organisms from growing in the moisture. If your garage has been a victim of flooding, you may need to make some repairs. Do not hesitate to call the specialized team of garage experts at Blue Sky Builders for assistance. 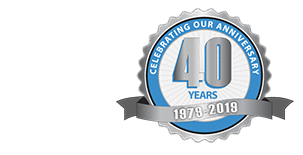 Call 630-852-8485 or visit Blue Sky Builders online today to learn more about the variety of services we offer.